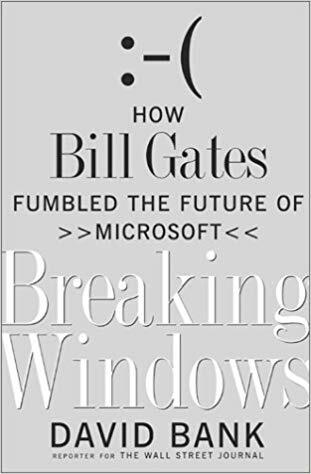 I'm churning through tech books now, finishing off a bunch that I had started a while back, but couldn't find the time to finish until now. The pair that I'll look at here are a couple of older books that I picked up through recommendations on blog posts. 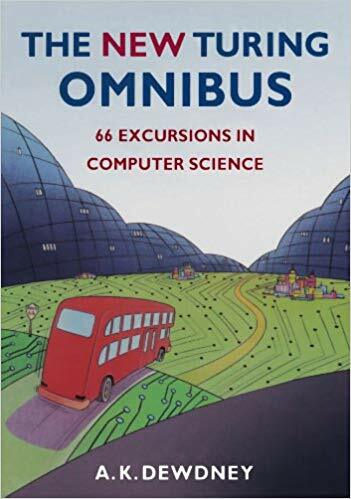 The first one, The New Turing Omnibus: 66 Excursions in Computer Science by A.K. Dewdney, is a survey of 66 topics in a wide range of areas of Computer Science. 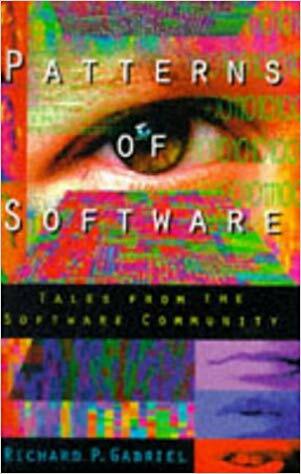 The second book, Patterns of Software by Richard P. Gabriel, is about advice and experiences on a variety of topics in software development. Whereas NTO is of a strictly technical nature, Patterns of Software has much more of the human aspect of working with computers and software. Let's see how these older books hold up today. I just finished up learning about fourteen new programming languages, and while my head may still be spinning, I've been struck by one thing about learning new languages. Every single new language I learn teaches me something new and valuable about programming. 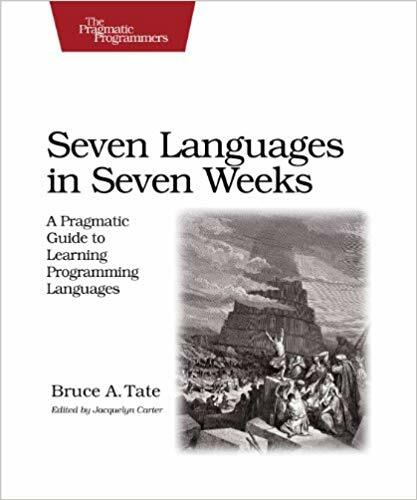 Some languages reveal many new things because they happen to be the first language I've learned based on a new programming paradigm, and other languages may expose only one or two new ideas because they overlap quite a lot with languages I already know. Every language has shown me at least one new thing, though, so I thought I'd take a look back and pick out one thing learned from each language I've encountered. Some of these languages I've used extensively and others I've barely scratched the surface, so I may miss some great insights in the languages less well-known to me, but that's okay. There's still plenty to reflect on. Yes, that's right. 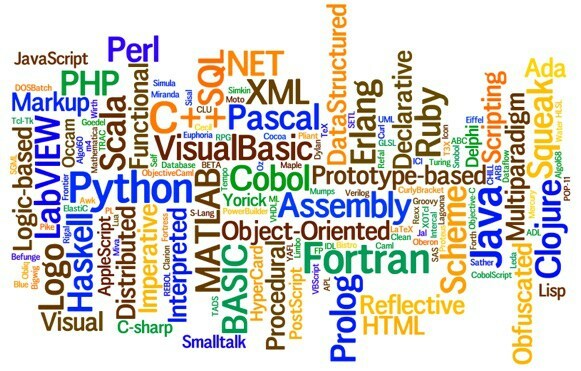 I learned fourteen programming languages in as many weeks. Actually, it was more like four weeks, but I just couldn't put these books down. 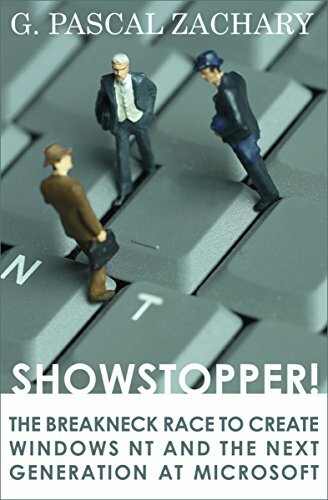 I had wanted to work through them ever since I had read Seven Databases in Seven Weeks a few years ago and loved it. Now I finally made the time to read them, and had a blast the whole time. I shouldn't have waited so long to crack these books open. 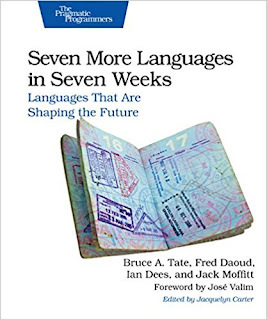 I started off with Seven Languages in Seven Weeks by Bruce Tate, and then quickly moved on to consuming his follow on book, Seven More Languages in Seven Weeks, co-authored with Ian Dees, Frederic Daoud, and Jack Moffitt. It's not as hard as it would seem to learn about so many languages in such a short amount of time, as long as you already have a few under your belt, because really the hardest programming language to learn is the second one. After you overcome the confusion of holding two different languages in your head, it becomes much easier to add another and another and another. The differences get slotted into your brain more readily, and the major hurdle becomes figuring out how to use the new paradigms and features that you run up against. Let's see how these books handled presenting all of these different languages and smoothing the shock of moving from one language to another in rapid succession. I'm always on the lookout for books that will help me improve my programming skills by learning to write cleaner, clearer code. 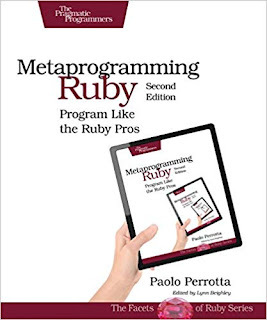 For this Tech Book Face Off I found two relatively short books on how to write better programs in Ruby. 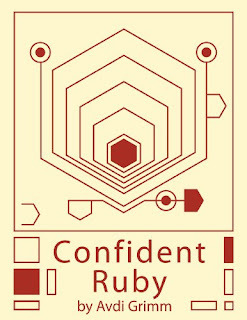 The first book is Confident Ruby: 32 Patterns for Joyful Coding by Avdi Grimm, and I paired it up with Metaprogramming Ruby 2: Program Like the Ruby Pros by Paolo Perrotta. I haven't been programming in Ruby too much lately, but I still love the language and think it's a great vehicle for exploring how to write beautiful code. 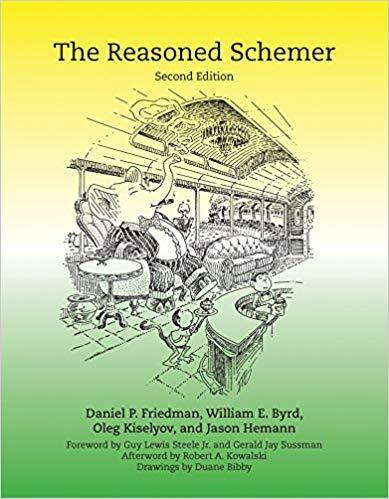 Even if I don't use the things I learn from these books directly in my day-to-day work, plenty of the ideas behind good programming patterns will transfer to any language. The key is to recognize the rationale that makes a particular coding style work well—what are the underlying principles that make it better than the rudimentary way that code is normally written—and adapt that style to the language that you're using. So let's see what these books have to offer, whether you're a Rubyist or not. This is going to be a story of how I learn new things and come to understand them well enough to put that knowledge into practice. I imagine these levels of understanding are similar for everyone, but I can't be sure. I'm just going off of my own experience. It's possible that for any given person or any given skill, learning could stop at any point where they've gleaned enough usefulness and the desire to continue learning has been exhausted. However, if that desire to learn is strong, learning can develop through three main levels of understanding. The first level is the basic what to do to accomplish a task. The second level delves deeper into how things work in context to solve problems in the domain. The third and final level explores why things work the way they do. The answers to those three simple questions: what, how, and why encompass all of the understanding that can be gained from any skill, subject, or domain. To ground this discussion we'll focus on programming to make things more concrete. What is involved in each of these levels of understanding when learning how to program? This Tech Book Face Off has been a significant undertaking, more so than I originally imagined. It took over ten months to get through these two books, slowly chipping away at them in my free time during the evenings until I had finally read all of the material and worked all (well, nearly all) of the problems. As a result it's been nearly a year since my last book review, and working through these books was quite the experience. The goal at the outset of this project was to revisit a couple of textbooks from college, things that I felt I should brush up on. I wanted to see how much I retained of these subjects and how much I had forgotten that may still be useful. 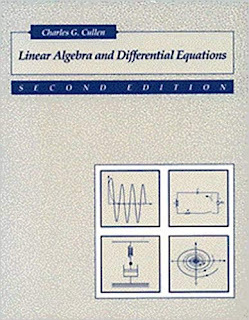 I chose Linear Algebra and Differential Equations by Charles G. Cullen because I remember having breezed through this subject in college without giving it my full attention. It was easy at the time, and I coasted through the course without, I thought, giving it the effort it deserved. Then I picked up Introduction to Algorithms by the famed group of professors known throughout the programming world as CLRS. 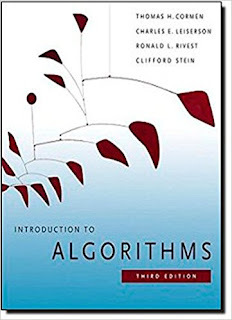 I love algorithms, and I have fond memories of this course and working through this book, so I wanted to go through it again in its entirety, picking up the subjects that we had skipped in the course as well. What follows is the perspective of one programmer rereading a couple of old textbooks fifteen or so years later. I currently have seven books in flight—a few that I'm actively reading, a couple that I'm trying to juggle for learning new skills, and a couple more that I started a while back but had to put aside for the time being. What they are doesn't really matter. It seems I'm always in the middle of at least a few books at a time. Please understand this is not bragging; it's love. I love starting a new book, with all of its promises of knowledge or adventure or perspective. 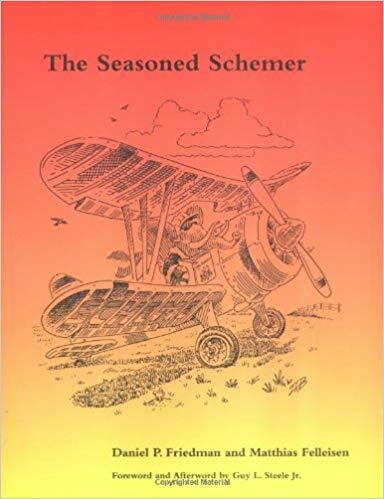 I love progressing through the middle of a good book, absorbing enough introductory material to understand more difficult concepts or following the intricate plot twists as a story builds to its conclusion. And I love finishing a great book, reflecting on the knowledge learned and the experiences had through the written word mixed with imagination. Books are still a major source of enjoyment and fulfillment for me, and I don't see that ever changing. Are Computers Still a Bicycle for the Mind? He refined his delivery over the years, but the underlying analogy was always the same. The bicycle dramatically increases the efficiency of human locomotion, and likewise the computer dramatically increases the efficiency of human thought. While that is still the case when computers, the Internet, and increasingly Artificial Intelligence and Machine Learning are used as tools to leverage our innate abilities to solve huge, complex problems, they can also become other things for the mind that are not so useful. We are seeing it happen more and more that as computers proliferate, shrink in size, and become more convenient and ubiquitous, they stop being treated as a tool and start being treated as a toy or simply as a distraction. Maybe computers are becoming less like a bicycle for the mind and more like something else. We've now been exploring and discussing game algorithms using the simple game Color Walk for months over the course of 11 posts. We started out extremely simple with random and round-robin algorithms, advanced to some obvious greedy algorithms, and wound up discussing a number of graph algorithms. We've discovered a ton of stuff along the way, so it would be nice to step back and review the ground we've covered to see the big picture in all of the experimentation and details of the various algorithms we found along the way.